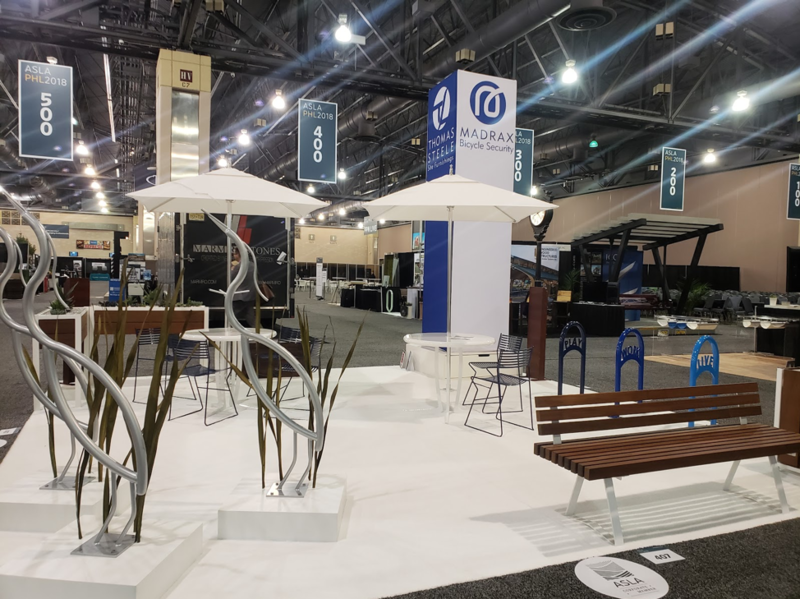 See How our Hidden Gems Stood out at ASLA | id created, Inc. The landscape architects we met with this year are indeed remarkable, breathing life into our communities by developing land for human use and enjoyment. 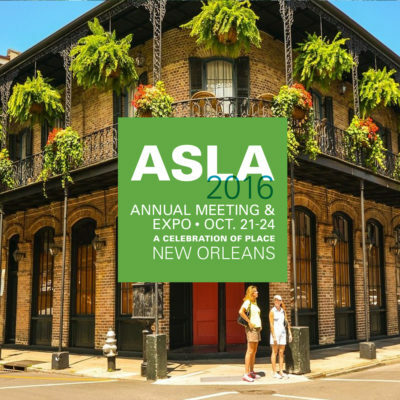 We delighted in celebrating the landscape architecture community with friends both old and new, and wholeheartedly support the creation of places we will all remember. Thank you to those who attended and stopped by our booth. The EXPO is a great place to exchange ideas and show off product distinctions that set us apart. 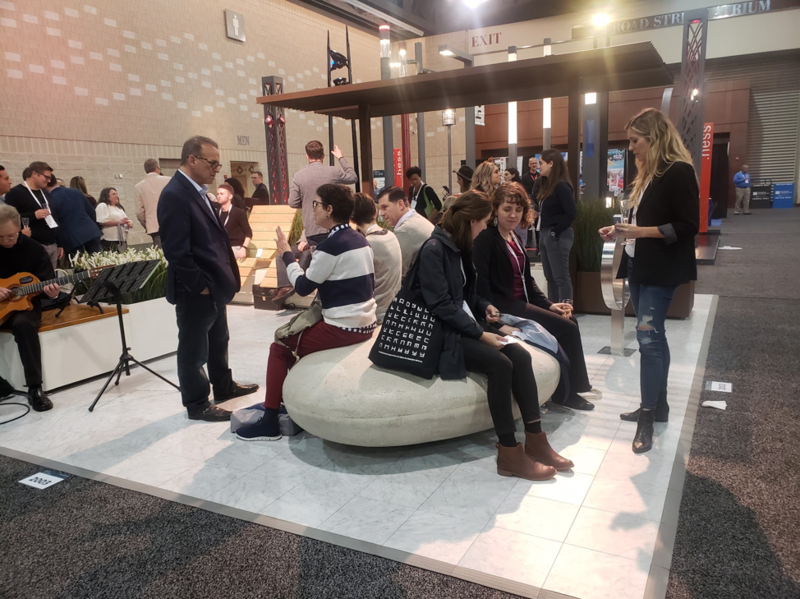 While attending the EXPO, we visited a few of our favorite people to see what new and innovative products and ideas they brought this year. 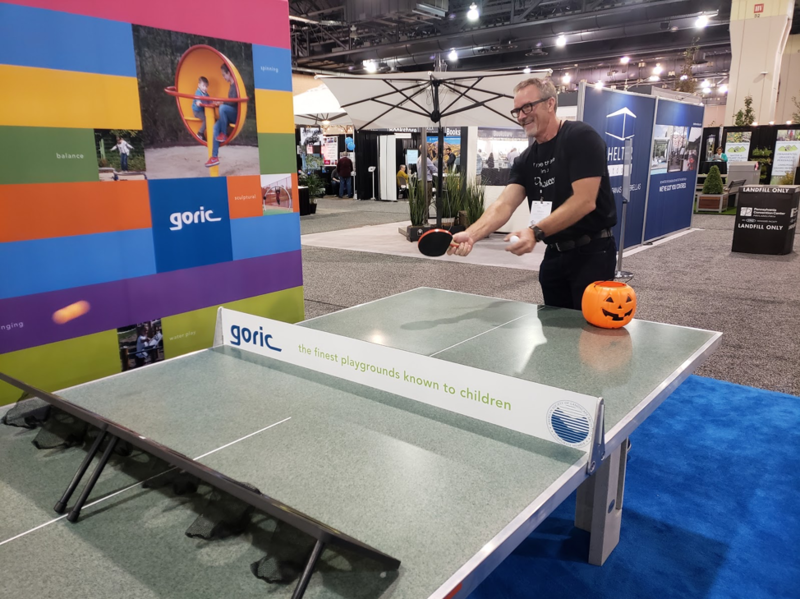 Goric showcased a Solid A45-S faux-granite table. This new product offering was lots of fun—attendees could play for a chance to win this gorgeous table! Unfortunately for us, Mark Anderson, CEO of id created, Inc. (pictured above), was not eligible, so we couldn’t take this beauty home. But he enjoyed playing just the same! It sure would have been a great addition to our office (hint hint, Mark). The lucky winner was Dan Harvey of Weisman Design Group. 45 points for the win! Congratulations, Dan. 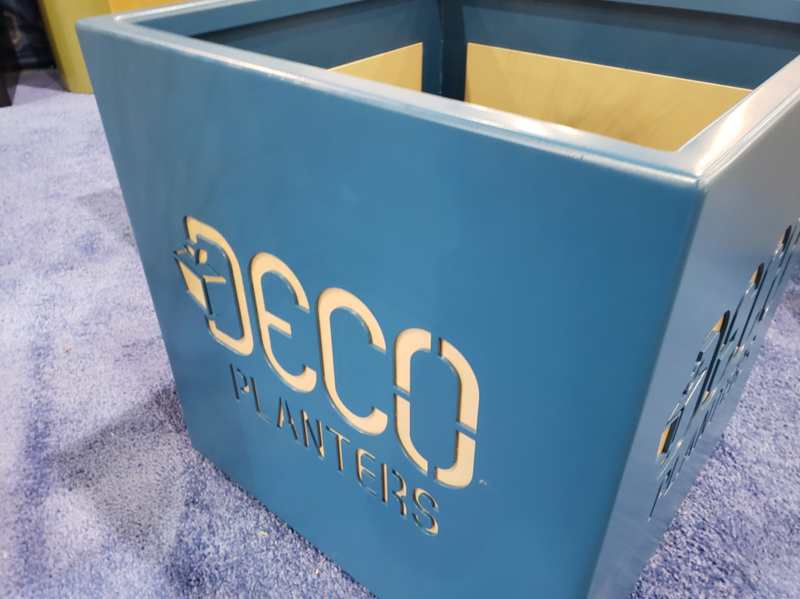 New to ASLA and impressing us already, Deco Planters proved that it’s what you don’t see that matters. Their U.S. manufactured design is made of high quality material and features exceptional welds that can’t be seen from the outside. This impeccable design feature is what separated Deco Planters from the rest. Their history as a steel supplier is what led them to become a new player in the planter arena. We’re keeping our eye on them! Concrete Collaborative is always a treat. 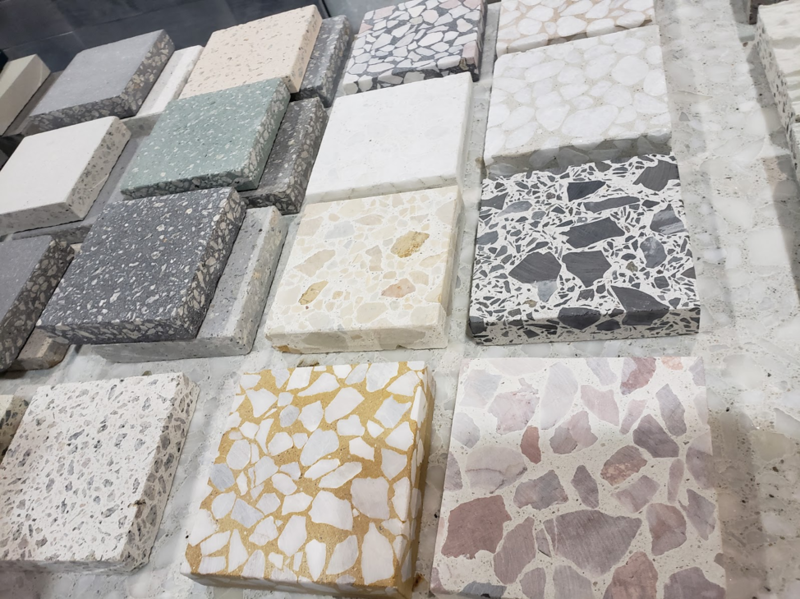 We’re never disappointed at the wide array of beautiful samples shown in their booth. They look yummy enough to eat. If you have not yet discovered this fine concrete tile maker, visit them online. You’ll be glad you did. They have something special for every type of application. We hope you enjoyed seeing them. We sure did! Among our 5 hidden gems was Madrax and Thomas Steele who showed up with what we think was a pretty sharp display of beautifully crafted products from every category. Their eye for detail and the stunning color palette was inviting. It drew you in and made it hard to leave. 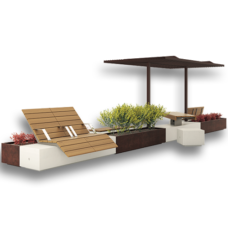 We’re very excited to see that they continue to release new designs, like the Sawyer bench, to support what was already a well rounded full portfolio of products. Well done! 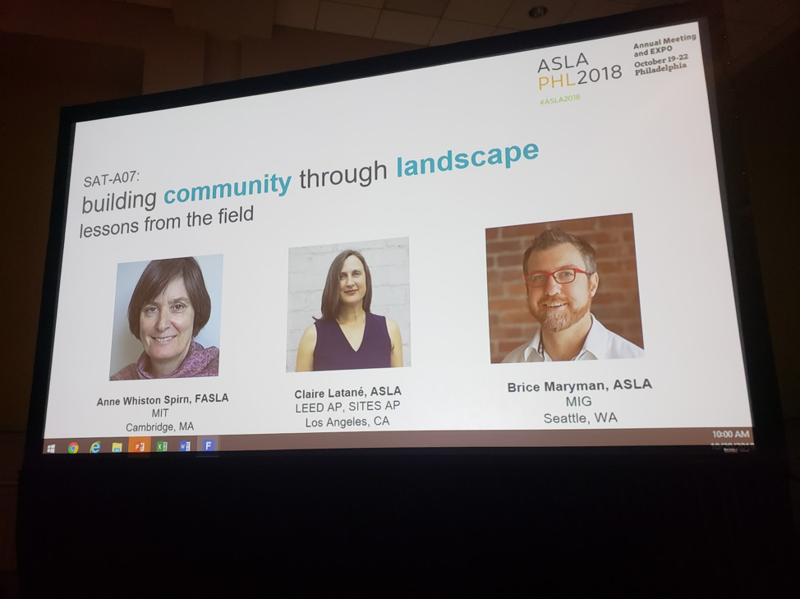 Among the many educational sessions offered this year, we had an opportunity to sit in on Building Community Through Landscape: Lessons From the Field. The session featured two speakers, Brice Maryman and Claire Latané, and was moderated by Anne Whiston Spirn. Both speakers discussed their passion projects and how they relate to environmental injustice. Claire, a writer, landscape architect and healthy community advocate, spoke specifically about school campus environments and how the design impacts our children's mental health and well-being. For more on this topic, you can visit her website. Brice shared his research on homelessness. His HomeLab project is defined as exploring the intersection of public space and homelessness. Visit homelab.com to learn more about this project, read blog posts and listen to related podcasts. Both speakers did an excellent job delivering their research and utilized storytelling to illustrate the importance of landscape to social resilience. It starts with conversations and dialogue from talks like this and leads to new opportunities for change in the industry. The best part of our time in Philadelphia was getting to spend time with you. 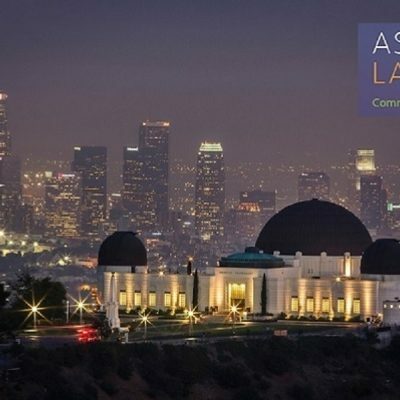 Thank you to everyone who attended our annual ASLA Prosecco event. Your continued support fuels our passion to deliver high design and high-quality products to meet your project needs. You’ve all worked so hard, you deserve to take some time to celebrate all that you’ve accomplished. We at id created always leave the EXPO feeling energized and optimistic about the future of our landscape. We hope you feel the same. Thank you for the exquisite work you do. If we can help you source and procure site furnishings for your next project, please don’t hesitate to reach out.